I didn't go to Japan last year, and so for the first time in years I've found myself without a novelty calendar (the purchase of which is the main aim of most of my trips to Japan). 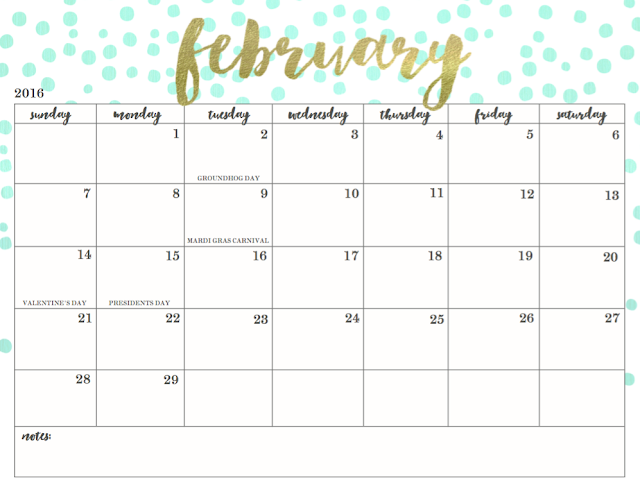 This is a serious problem because February 2016 is shaping up to be a wonderful month, and ought to be brought to life on paper. 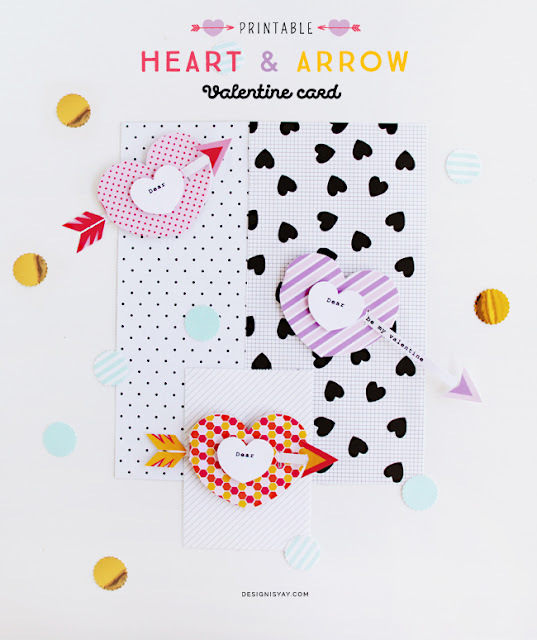 These free printables do not have 3D animals with fuzzy, tactile surfaces. They do not have real astroturf. They have no moving parts, they do not make music or lights, nor can the left-over pieces be used to construct a realistic to-scale model of a famous Japanese castle and/or peacock. And there are no rabbits wearing hats. 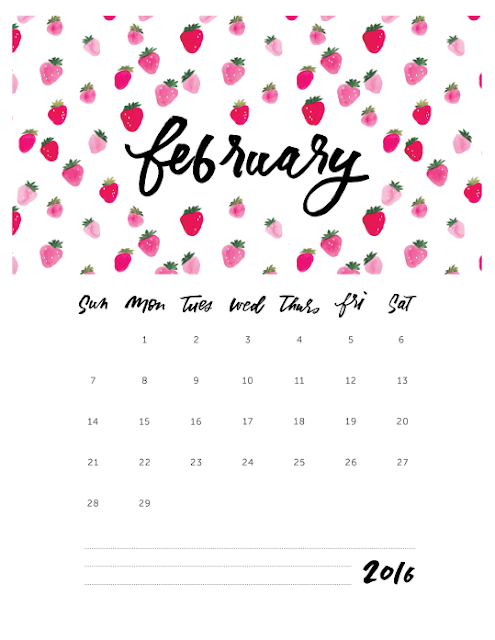 What I'm saying is, these are not Japanese novelty calendars, but they're pretty sweet nonetheless (click the picture to be taken to the designer's website, where you can download the scaleable image - plus the other months - for printing). 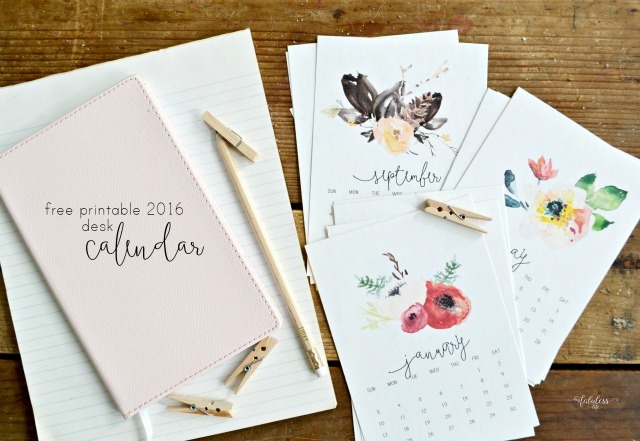 Oh So Lovely has 20 different designs for this calendar, and they are all awesome! 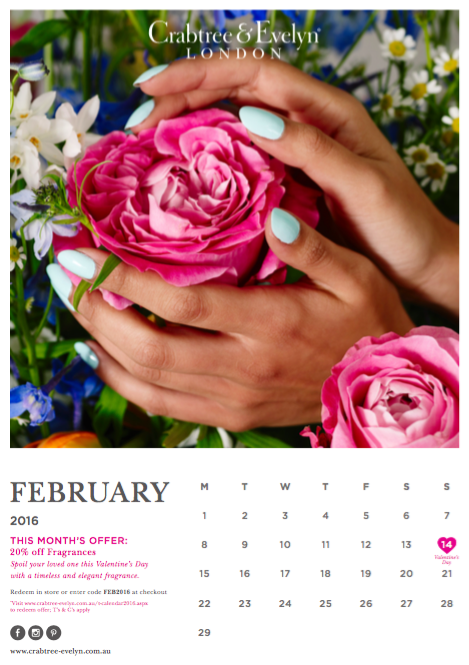 The Crabtree & Evelyn one has a little coupon code, in case you feel the need to buy some perfume this month. 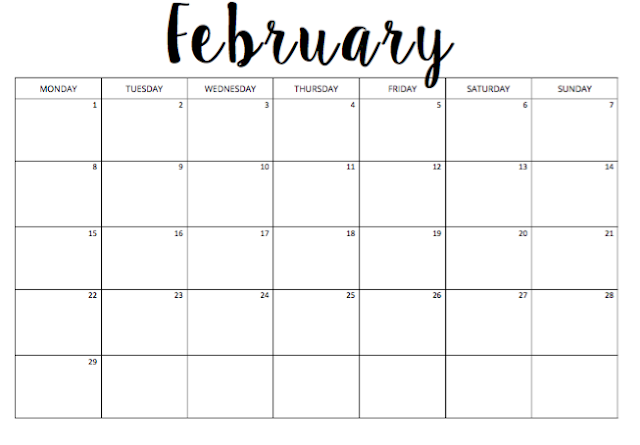 Tiny desk calendar from My Fabuless Life. I think this is what I need on my tiny desk right now.... I'm so glad we have a colour printer at work. Not that I would ever print personal documents at work...Not the like person down the hall who is really, really into caving. We looked her up on the interweb. She is very dedicated to caving. She presented at a conference. But if you don't like any of the calendars that I found, there are lots more here. And this beautiful floral water colour one by The Cottage Market, which has notes pages and to-do lists. You can thank me later. 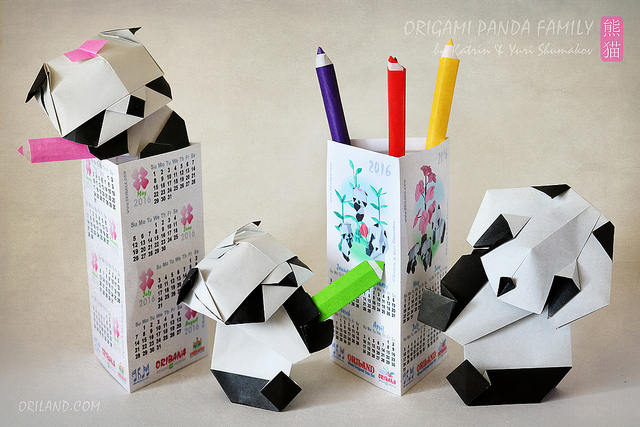 Origami Panda Family Calendar. I think we're done here.